As their cards include a no-annual-fee product in partnership with the Avios.com scheme, then assuming you can hit £100 worth of spend using Apple pay each month (which should not be too difficult, as its supported in supermarkets, etc) then this seems to be a card that could effectively pay you £60 a year to hold it! Details about the new Apple pay rebate are at the bottom of this post, however it is worth recapping a few matters first. When the Airmiles UK loyalty scheme was re-branded as Avios.com (aka the ‘Avios Travel Rewards Programme’) Lloyds TSB bank, as it then was, was the credit card partner and they offered two products, each came with an Amex and a Mastercard. 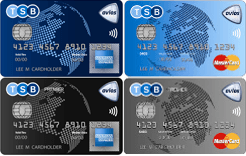 Since then Lloyds TSB bank has demerged into two separate banks “Lloyds Bank” and “TSB”, and each of them continues to offer two different Avios.com card products. 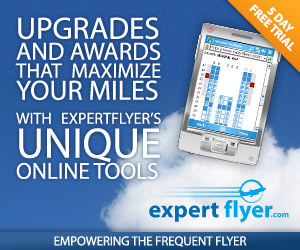 Accordingly there are now four credit card offerings linked to the Avios.com scheme in the UK. I’ve quickly summarised them here purely from a loyalty points perspective, you should obviously conduct your own research on each one, and seek professional advice if necessary with regard to their attributes given that they are financial services products. The Lloyds cards do not incur foreign usage fees. While the TSB cards offer double Avios on foreign spend, based upon most popular valuations for Avios points, these will only paritially off-set the foreign usage fee we would be charged, so you would be ‘down’ compared to using a fee-free card – even if that card did not earn anything. The Lloyds cards offer upgrade vouchers, which can be a valuable benefit, especially if you won’t make use of the 2-for-1 vouchers that come with the BA Executive Club Amex card. (The companion vouchers issued by the Avios.com cards are less flexible than the BA Amex 2for1, although the Lloyds one appears to beat the TSB one in flexiblity). Lloyds offer double Avios for the first 6 months. When you consider the above, it is clear to see why the TSB cards were generally viewed as the weaker of the two stables! You can read full details on the cards here. However, the appeal of the no-annual-fee TSB card might be a bit stronger, at least for this year, with the new Apple Pay promotion. TSB have announced they now support Apple Pay and as part of a promotional offer – until December 2016 – they will offer 5% back each month (capped at £5). It covers both debit and credit cards issued by TSB. I do not have a TSB issued card myself (for reasons discussed in the article), but it certainly now seems to be something to consider (for the next 12 months at least). Do note that I’ve considered the cards above only from a loyalty points and travel perks perspective. They are financial services products, you must do your own research on them, and must obtain any professional advice that you need in relation to them. This is a personal blog, the views express are personal opinion. Nothing on this site should be considered to be financial services advice. Mistakes may be present in content at time of publication, additionally topics discussed can and will change, content here will not necessarily be updated if such changes occur.